Welcome to "Flavor Physics & CP Violation 2010" (FPCP 2010). 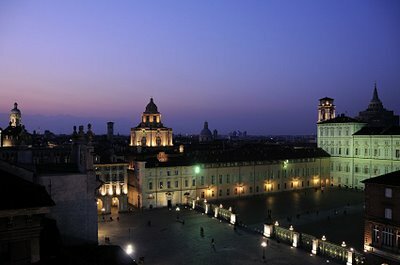 The 8th meeting in the conference series will be held in Torino, Italy between May 25 and May 29, 2010. The meeting is open to all. Talks will be by invitation only. The aim of the meeting is to review developments, both theoretical and experimental, related to the physics of heavy flavors. We will hear updates on many topics including CP violation, rare decays, spectroscopy, CKM elements and, perhaps most importantly, the potential for studies of heavy flavor decays to help unravel any new physics seen directly at the LHC. The physics discussed at this meeting is directly related to the work of Nambu, Kobayashi and Maskawa that lead to their 2008 Nobel Prize. This conference series resulted from merging two separate series covering much the same material. One was the bi-annual ``Heavy Flavor Physics Conference" (founded by K. Schubert), that was centered in Europe and the US, and the other the bi-annual ``International Conference on B Physics and CP Violation" (founded by A.I. Sanda), that was centered in Asia and the US. Poster Session: Participants may submit abstracts for the Poster Session. Please send the abstracts to fpcp2010@to.infn.it, with the title "Poster Abstract" in the email subject by March 31st. Although we will try and accommodate as many posters as possible, the organizing committee will evaluate each abstract and give notification of acceptance. Weather: while it is usually good at end May, this year we are experiencing the coldest and wettest spring in a century or so. Temperature can range between 10° C in the early morning up to 27° C in the middle of the day. We recommend to dress in layers and to bring umbrellas or water proof dresses. Bring comfortable shoes for the excursion: we'll have to walk some time and we'll have a picnic lunch in a park. Registration: Registration is now open. Deadline for registration is April 30th, 2010. The conference fee is euro 230.00 to be paid cash at registration. Personal checks and credit cards cannot be accepted. Conference fee includes all social activities. The deadline for registration has been extended to May 10th. Support: Some financial support is available for graduate students and post docs who would not otherwise be able to attend this meeting. Please apply sending email to fpcp2010@to.infn.it. Person who are selected are expected to present a poster, or give a talk. Visa: Short term visitor from most countries do not need a visa to enter Italy, however we suggest you to check with the Italian Embassy. We are happy to provide an invitation letter upon request.